Following the popularization of smartphones in recent years, mobile users have become one of the marketers’ favorite targets. However, the increasing use of smartphones hides a sad fact that users spend a lot of time browsing the mobile internet in search of products that interest them, but they rarely make purchases from their smartphone. The computer always remains the king of the conversion of e-commerce. The good news is that adapting your e-commerce to mobile devices does not require much effort, nor great financial investments. The expansion of smartphones in the global market is just a few years old. Many websites, designed before the boom of smartphones, were not designed for mobile devices. They do not function properly or are difficult to use to the point of despairing the mobinautes. Take online payments as an example. Some online payment platforms integrated into the websites have not been adapted to the mobile. The user, after having tried several times to make his payment will be forced to abandon the basket … And you will have no guarantee that he will still want to try again to make his purchase from the computer. Some users are unaware that the same site that bug on the mobile can work very well on the computer. This is the first step of any mobile marketing strategy, yet many companies do not think about it. A mobile-friendly website will appeal more to Google and, as a result, its positioning in this search engine will improve. Your customers will finally have a good mobile experience and you will be able to use some powerful techniques to retain them and increase your sales. But what techniques are we talking about? A person who has already bought a product on your website or in your shop will be more inclined to get there again. It is for this reason that the best method of generating more sales is to remind your old customers that you are still there. To do this, there are several options available: SMS, WhatsApp messages, or push notifications sent from your mobile application. You can also create a newsletter for those who want to keep up to date with all your news. The ideal would be to prepare an email that highlights all the promotions available on your shop. They will only have to scroll the content in less than five seconds to see if a product interests them. Facebook, alone, has 1.03 billion active users every day on mobile. It would be a shame to miss out on this gigantic sales channel. A simple social network on which we were only sharing photos, Facebook is today an e-commerce platform in its own right. Creating a page of your business is the minimum to secure a place. The camera: There are two billion smartphone users in the world … and by the same token, two billion amateurs of photography. The simplest way to take advantage of the potential of this tool is to encourage mobile users to share photos of your products on social networks. But there are other solutions, more creative, such as organizing photography contests. Geolocation: Mobile users have become accustomed to the comfort of having a GPS on their own, integrated into their smartphone. Consider going against their habits by giving them the opportunity to find your nearest physical store. Many people do not like to shop online. Bluetooth: This is a perfect tool to strengthen your mobile and local marketing strategy at the same time. With a Beacon case, you can send notifications to your customers when they pass by your store. A simple and effective way to get them back. 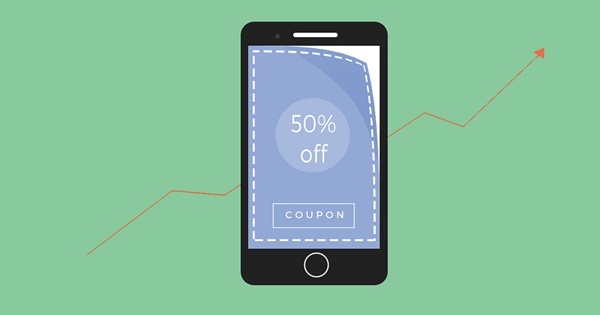 The mobile offers many opportunities to generate more sales. Before you start developing a mobile application, make sure you have done the bare minimum to equip your business with a mobile presence: make your website user friendly and improve your communication strategy with customers. These two steps do not require significant financial investments, yet they can quickly increase sales. It is only after you are recommended to gradually put in place other tools to attract more customers. Posted on October 12, 2017 October 12, 2017 by admin	This entry was posted in Mobile. Bookmark the permalink.